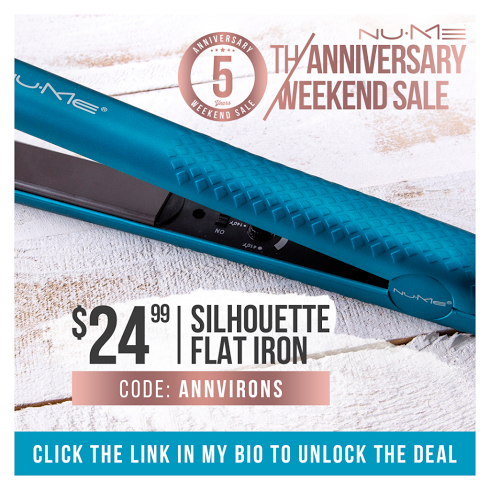 Deal Alert | NuMe Anniversary Sale! Hey all! Today is NuMe's fifth anniversary (happy birthday!) and to celebrate, they're practically giving away curling wands and straighteners this weekend (but the codes work now!). Okay. Maybe not giving away. But pretty damn close! Any set $89.99 (including Octowands) with the code ANNIVSETS or click here to unlock it automatically. 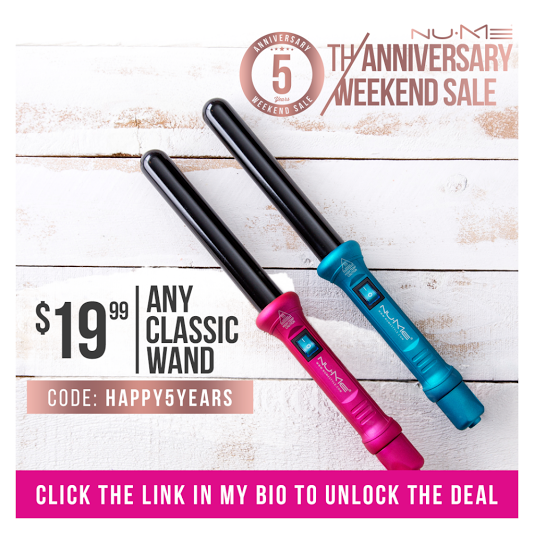 Any classic wand (reg $79) $19.99 using code HAPPY5YEARS or click here to unlock it automatically. 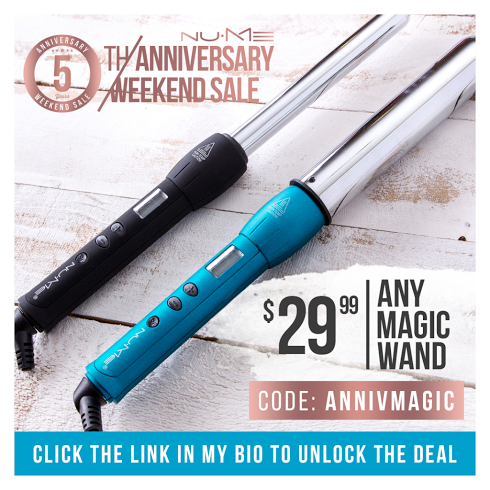 Any magic wand (reg $89) $29.99 using code ANNIVMAGIC or click here to unlock it automatically. 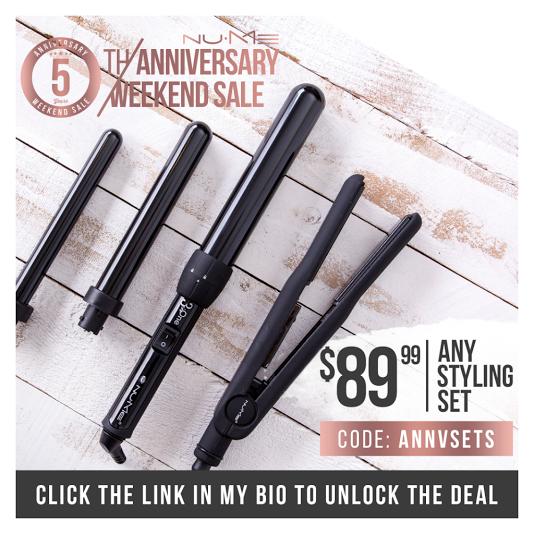 Silhouette straighteners (reg $99) $24.99 with code ANNIVIRONS or unlock in automatically here! As you guys can see, NuMe is going cray for its birthday! Make sure to hop on these deals quick before they sell out! * This post is sponsored by NuMe. Affiliate links are used in this post. Thanks for these details about anniversary sale! Pleased to read about it. We are planning to attend a similar anniversary party at local venues in Chicago. My best friend is running that business and even helping him with arrangements.